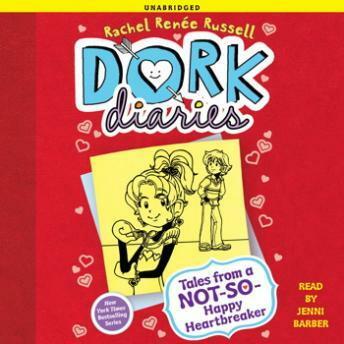 Filled with fun and humor, Dork Diaries 6: Tales from a Not-So-Happy Heartbreaker will keep you laughing. With crazy twists and turns in this hilarious tale you'll be sitting at the edge of your seat! A fun book for the whole family to laugh about. Dork Diaries keeps the tables turning. Also might I add a wonderful narrating job done by Jenni Barber. Keep the fun coming Rachel Renée Russel.